Default Folder X 4.6.11 is available now, bringing you a couple of important fixes when running on Yosemite. The first is a bug fix for a crash that occurs under some circumstances in Carbon applications such as Adobe Photoshop and Microsoft Word. The second is a more minor problem with BusyCal and BusyContacts, where Default Folder X would prevent one of the initial setup dialogs from defaulting to the proper folder. You can grab the new version from http://www.stclairsoft.com/DefaultFolderX/index.html. This update is free for anyone who’s purchased a license for Default Folder X version 4. Jettison 1.4.2 detects SD cards in Yosemite and improves ejecting and remounting of drives. 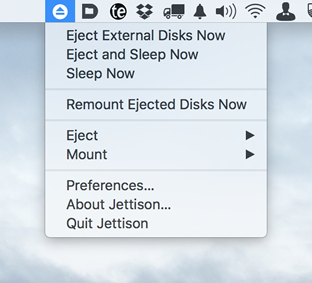 An update for Jettison is available, fixing a problem with detecting SD cards when running in Yosemite, and also making the ejecting and remounting of all drive types more reliable (and often faster). You can get a copy from the Jettison page – the update is free if you’ve purchased a license from us or from the Mac App Store. App Store customers: Please remember to run your new copy of Jettison immediately after downloading it, BEFORE you delete or replace the version you bought from the Mac App Store. This will ensure that Jettison doesn’t ask you to pay for it again. HistoryHound 1.9.10 and Default Folder X 4.6.10 are out! HistoryHound and Default Folder X have both been updated today with reliability improvements and enhancements. 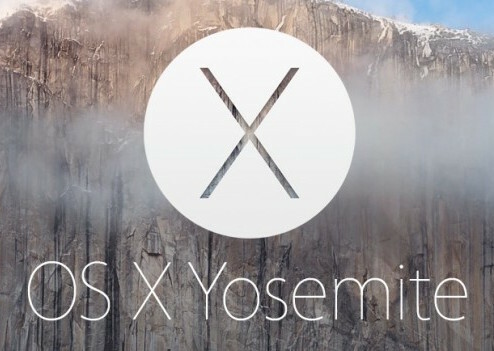 Both are also compatible with Yosemite, so you can go ahead and upgrade when it’s released on Thursday. HistoryHound 1.9.10 improves its searching of your browsing history, updates support for the latest versions of popular web browsers, improves performance via 64-bit code and fixes a few bugs that could cause HistoryHound to crash. You can see a list of the changes and download the new version from the HistoryHound release page. Default Folder X 4.6.10 addresses a few problems with 4.6.9, which was already Yosemite-ready. We recommend that anyone running Default Folder X update to the new version to make sure it works correctly in all your applications. Details and download links are on the Default Folder X release page. Version 2.0.4 of App Tamer is ready, bringing its power-saving capabilities to Yosemite. Use it to automatically slow down or stop applications that are consuming too much CPU power – you’ll extend your battery runtime and reduce heat (and with it, fan noise). If you’ve already purchased a license for App Tamer 2, this update is free! If you’re still running version 1.x, the upgrade is only $7.95 USD, and if you haven’t tried App Tamer yet, download it and see what you’re missing. You get a free 15 day demo period, so it’s easy to check it out for yourself. Yosemite has gone GM, which means it’ll be released any day! Make sure you get your copy of Default Folder X 4.6.9, which is fully compatible with Yosemite. The new release also includes fixes for the few bugs that have been reported and lets you decompress zip archives without leaving an Open or Save dialog, so even if you aren’t updating to Yosemite right away, the update is still worth getting. And, of course, the new version is free if you’ve already bought a copy of Default Folder X 4. See more details and grab a copy from the Default Folder X Release page!